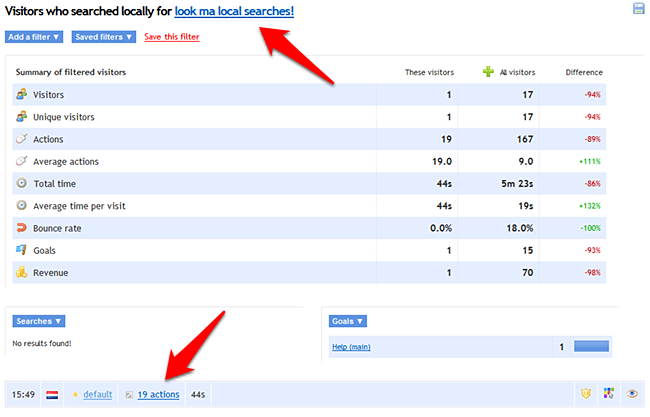 Local searches are searches performed with your site's own search engine, after your visitors are already on your site. Before we can report on these searches, you must tell us what query parameter your web site uses for searches. Common parameters would be for example "q" or "search". Clicky also supports these. For path-based searches, you must enter in the full path that goes between the domain name and the search term. It must start with a '/' or we won't look for the search in the path. In this example, you'd enter in "/search/". 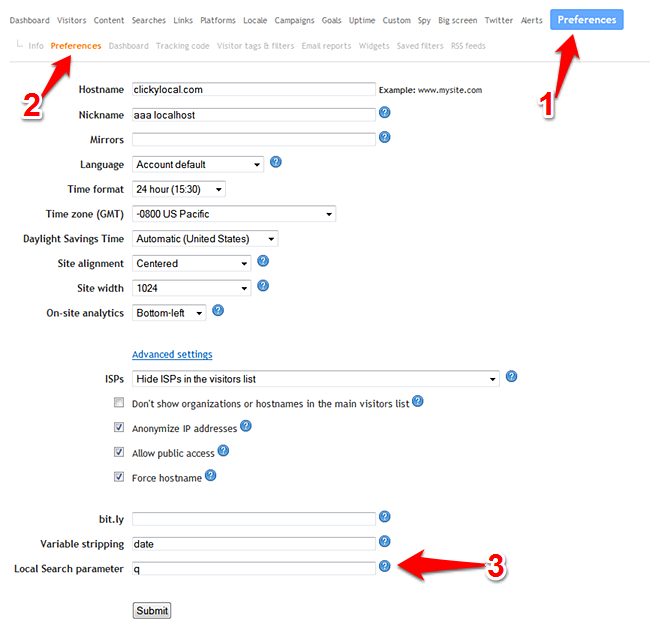 Enter in your query parameter in site preferences. The main report is available under Searches -> Local searches. Click on a local search to view visitors who performed that search. Local searches will also show up in the action log (globally, or when viewing a session), as well as Spy.